Michael Beck and I have know each other for about a decade. I have invested in several of Michael’s coaching programs and webinars. When I decided to launch www.successisvoluntary.com and this podcast, Michael is one of the first people I thought of to bring on as a guest. Michael’s career has been incredibly varied. He holds an MBA in finance from the Wharton School of Business as well as a Masters in Structural Engineering from the University of Pennsylvinia. He has worked as a structural engineer, director of a law firm, restauranteur, overseas franchise development specialist, insurance agent, executive coach, and market strategist. 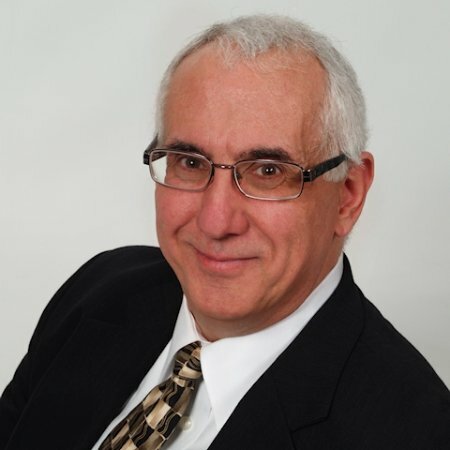 Michael has consulted with numerous large organizations and coached executives at the highest level. Michael started coaching about 14 years ago and spent his first 10 years coaching almost exclusively in the insurance industry. He mentioned that the reason he got into leadership coaching was that he saw a plethora of poor managers and leaders. He wanted to make a positive difference. Many of the concepts that I use today were things that Michael has taught me over the years. I am blessed to know him and consider him a friend. While I had Michael on the phone we talked about a broad range of topics related to the insurance industry. We really dug in on how to find clients and recruits without buying leads, wasting time “networking”, or searching job boards like www.careerbuilder.com. I promise that you will be challenged when you listen to this podcast. Some of Michael’s concepts will seem to be in direct opposition to conventional wisdom. Having worked with him over the last 10 years I have to tell you that he and I have gotten into heated debates about many things. But every time, when I applied Michael’s advice, I made huge strides forward. The commonalities of success he has noticed during his career. The reason people don’t succeed in this business is they don’t master marketing. You can make a living buying leads but it is painful and it never ends. It’s like being on a hamster wheel. People are attracted to us (and respond to us) because of who we are, not what we do. If we can come up with ways for people to see who we are as a person, we will dramatically increase the likelihood that people will want to do business with us. People do business with people the know, like, and trust. Many people have heard this but somehow they still don’t always believe it. Rewarding professional sales people by buying from them. The key to marketing is to show people who you are so they can like you and trust you. What kind of people request a quote over the internet? Will switch the moment your price isn’t the lowest. We tend to discount those things that come easy to us. But it could be THE thing that sets us apart from others and causes them to want to do business with us. Just talk to people, but not give them a 30 second elevator pitch. Without connection, this conversation is an in-person telemarketing call. Interruption marketing (TV commercials) gets Tivo-ed. The more we take an interest in the other person, the closer they feel to you. For every six to eight conversations you engage in, leads to someone who WANTS to sit down with you. Networking and Referrals also must begin with who you are. Not everyone is a good client for you. If you are focused on a specific type of person, it would appear that you might be leaving a huge amount of business on the table. The reality is that it actually helps attract people to you. The Pareto Principal in reverse: 20% of your clients produce 80% of your challenges. How to get rid of www.INeedAJob.com and still double your recruiting. 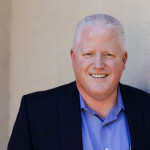 Michael is now focused on Leadership Development with executives and helping organizations with their employee engagement. He has a passion for helping companies to bring out the best in their people. He quoted the Gallop study that came out last year regarding employee engagement. The Gallop organization found that companies that have higher levels of employee engagement are 150% more profitable than those that struggle in this critical area. Ask five people, to give you five things about you, that make you a success at what you do. I promise it will ROCK your world!